If you are lucky enough to own a swimming pool, then you most likely want to spend more time using it than cleaning it. Sadly, this is not always the case, as swimming pools require constant maintenance and if not cleaned out regularly, can become thick with algae, resulting in an unhygienic environment to swim in. With a variety of products on the market that promise to leave your swimming pool crystal clear with gleaming reflections and healthy water, it can be hard to know what one to choose. 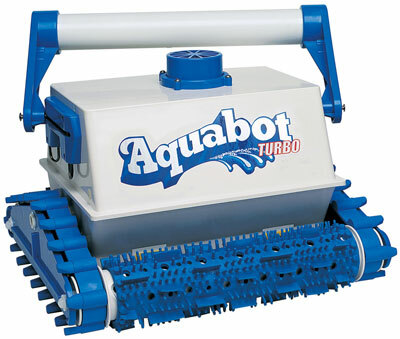 The Aquabot Turbo offers a slightly expensive but efficient and powerful solution to cleaning your pool. Capable for use with pools of 20 x 50 feet dimensions, it retails at roughly $950, but for that price you are getting what you pay for. With an integrated filter, it can help prevent any unwanted algae or bacteria from forming inside your swimming pool. It also comes with a handy re-usable filter big, which allows for simple disposal of the waste which is cleaned up. Best of all, it also comes independent of your swimming pools filter system, making it easier to use and assemble, saving any hassle with additional hoses. 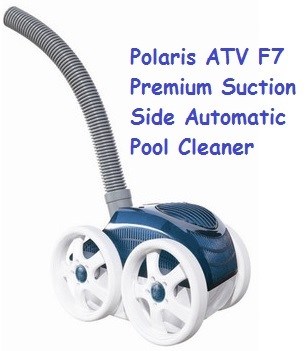 In terms of time scale, the Aquabot Turbo can clean your pool in around four hours, with a timer allowing for a minimum one and maximum seven hours of running. This means you can have it run at set intervals, knowing it is not using any excess power and thus providing great value in the long-term. The Aquabot Turbo also comes with handy education manuals should you have any problems setting it up, but it comes pre-programmed ready to go into just about pool and making a difference on the first try. There are some common issues with the Aquabot Turbo, such as complaints of the filter big filling up too easily with leaves and other debris carried in by wind. This means you need to be able to keep an eye on the filter bag regularly. You also do have to keep an eye on the handle of the Aquabot Turbo, as it changes direction after most uses. To do this, simply press in the clips to allow the handle to become movable. Watch the flaps at the bottom, as they can often become stuck after you remove the Aquabot from the pool. Sometimes, the LED lights can also start to blink. Usually this is a bad sign, but thankfully it is not always a bad sign with an Aquabot. This can mean that the filter bag is full, or that the power supply is not on. Check that the supply is on when the unit is out of the water. Press the restart button, by hitting the power button once. 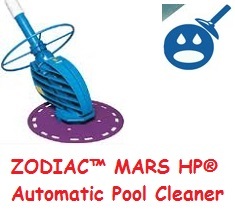 With the way Aquabot and similar pool cleaner’s work, you need to watch out for the wiring, too. It can easily become damaged if not taken proper care of, so ensure that the wires are handled with the best of care. If they become broken or torn in any fashion, it can affect power outage and even whether you’re Aquabot will work. When removing your Aquabot Turbo from the water, gentle pull on the chord when the Aquabot is at the wall on the shallow end. When you can easily reach the handle, remove it from the water. Never remove the Aquabot by chord – this is a sure fire way to damage the wiring. If you ever find that your Aquabot is not pumping water, but is moving fine, then remove the outlet top and inspect the impeller. Usually, something will have been caught inside, so make sure everything is turned off and remove the debris which is causing the blockage, this should fix any pumpage problems. If your Aquabot Turbo is not covering all of the areas it is supposed to, then refer to the power supply and see if the option for the pool is set to the right size. The pool option will go from Small to Large, so ensure it is set to the right size in regards to your dimensions. Also ensure that the cable can reach all areas of the pool, otherwise it cannot go any further. Again, regularly check the Filter Bag to make sure nothing has become clogged. 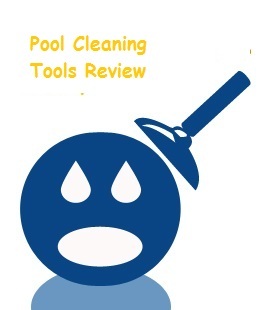 Overall, however, the Aquabot provides quality pool cleaning and, if configured properly, can really save on arduous and expensive pool cleaning services. Just be aware that the product is not invincible – it requires attention and maintenance. Love this product, I recommend it often. thank you for the additional info.